The official first day of winter isn't until December 21st, but those living in University City apartments in Charlotte, NC, you've already felt a bit of wintery chill. The snow has made an appearance once already this year, and Santa hasn't even come down the chimney yet! Cold winter weather can mean a lot of fun outdoor activities like ice-skating or even sledding on those days that the flurries stick around long enough. 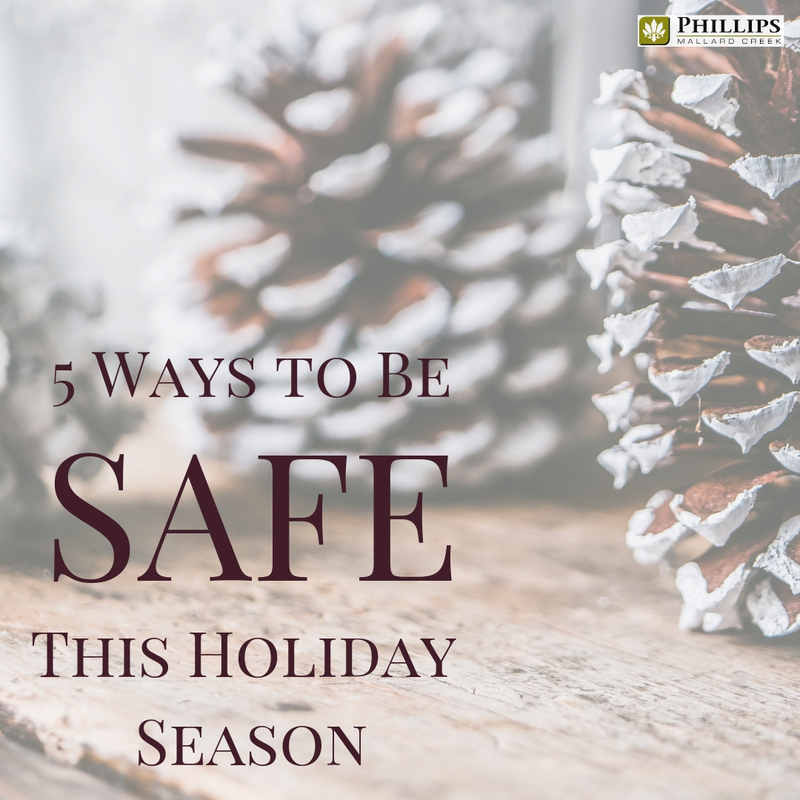 However, the holiday season and the chilly winter months can also pose a few dangers that you don't see at other times of the year. Here at Phillips Mallard Creek Apartments we want everyone to have a safe and happy holiday. 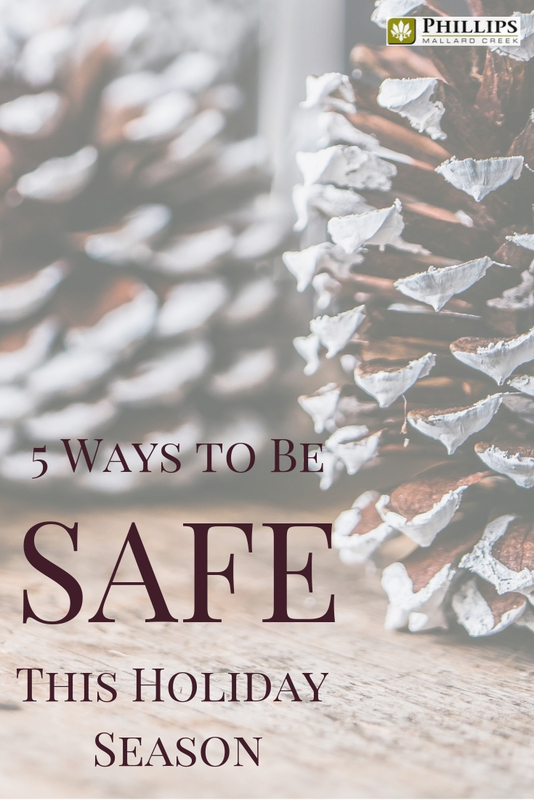 These 5 tips will keep you safe and cozy during this holiday season and the rest of the cold winter months. During the holiday season, everyone tends to shop a lot more than usual. You will probably spend a fair amount of time perusing the shops in the mall, wandering the aisles of Target, or hitting the sales at the outlet malls. While shopping at all of these places, you will most likely be arriving there in your car and parking in the adjacent parking lot. While using the parking lot at your favorite stores is a relatively safe activity, there are still a few dangers that can be lurking, especially during the holidays. All of the increased shopping draws the attention of would-be thieves, and the parking lot is one of their favorite places to strike. 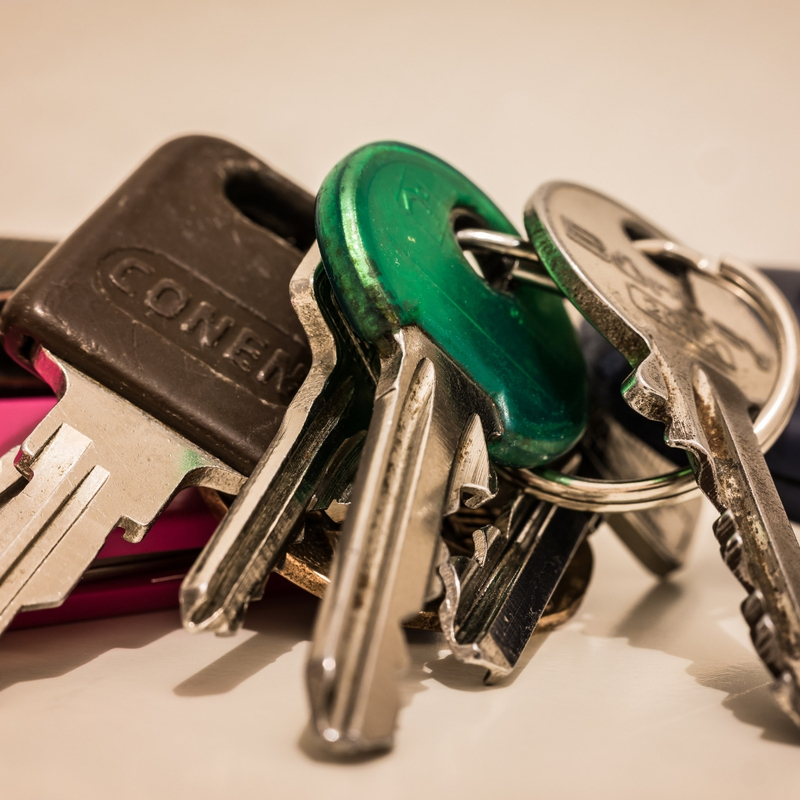 Make sure that you keep your vehicle securely locked while you are inside the shopping areas and place any valuable items in the trunk where they won't be tempting people passing by. When you exit the building and head back to your car, stay vigilant and scan the area. Don't keep your eyes focused on your phone! If you are shopping alone, try to avoid coming and going before sunrise or after sundown. Obviously, it can't be avoided sometimes, but try to park under a streetlight when that is the case. CO or carbon monoxide is a gas produced when a fossil fuel is burned. Your furnace, space heater, and your vehicle can all be responsible for producing it. Carbon monoxide is colorless and odorless making it difficult to detect. If carbon monoxide builds up in a small, enclosed space, people can wind up feeling very ill or even dying. Nearly 170 Americans die each year from carbon monoxide poisoning, and those deaths reach their peak in the months of December and January. During the winter, you probably warm up your car before leaving for work or school in the morning. If your University City apartments in Charlotte, NC have a garage, you might run down and crank your car while leaving it parked in the garage. However, this can cause the carbon monoxide to build up in this small, enclosed space. If you are warming up your car in the garage, make sure to open your garage door first to allow the CO to escape. Another way to protect yourself and your family is to install a carbon monoxide detector in your apartment if it doesn't already have one. Once the detector is installed, make sure to check the batteries often and replace as needed. Everyone has become so comfortable using the internet and computers in their daily lives that they often forget about the dangers that are lurking out there in the cloud. The holidays are one of the busiest times for all those online shops and stores! Before you sit down to start your online shopping spree, there are a few things you should do to make sure you are being as safe as possible. First, you should update your virus software and your firewall. This will be your first line of defense. Second, before entering your payment or personal information, make sure the website you are using is safe. There should be a little padlock next to the URL in your browser. If it says "not secure" avoid entering any personal information. Third, while you may enjoy sitting in your local coffee shop and enjoying a latte while you shop, you don't want to use an unsecured network when giving out our credit card information. Save the online shopping for when you are at home on your own safe WiFi. Let's say you packed up your suitcase, left your University City apartment in Charlotte, NC and headed for the Caribbean for the holidays. Yay, you! 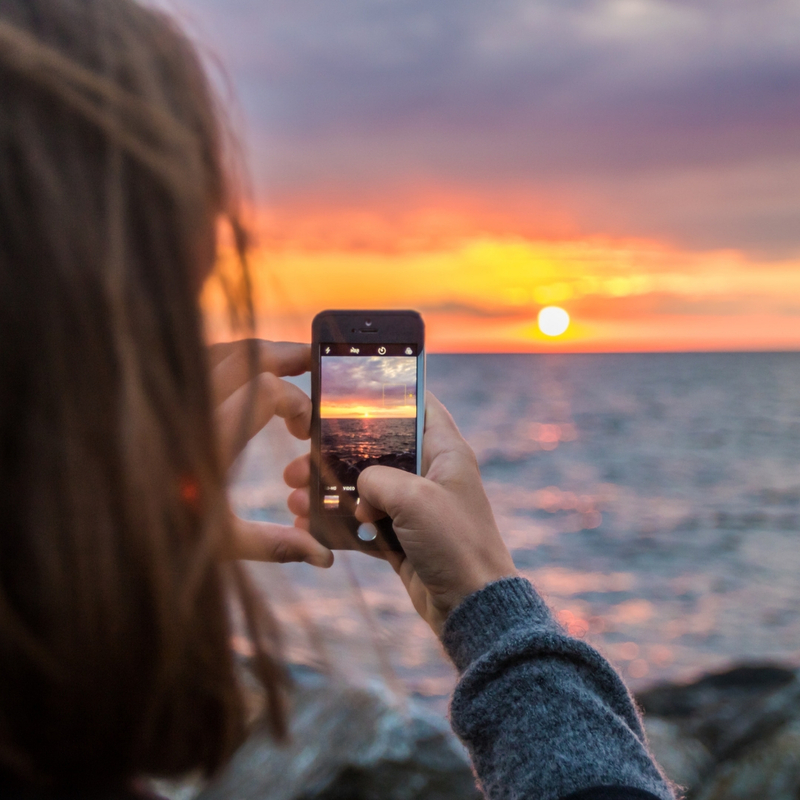 That is awesome, and you should definitely share all those amazing photos of you on the white sandy beaches when you get back. Avoid announcing your travel plans on social media because you don't really want the whole world to know that your apartment is now sitting empty. Of course, you want to Instagram that amazing meal you were just served, but potential thieves are looking for empty apartments and houses that make easy pickings during the travel-heavy holidays. Stay safe and wait until you get home before posting all those amazing sand and sea pics! Christmas parties and New Year's Eve parties make you want to dress up in your favorite little black dress or nice button down, and you probably don't want to get those amazing outfits all wrinkled before you even get to your destination. However, if the weather calls for a coat, you should totally be wearing one. The weather can sometimes be unpredictable in Charlotte, NC. An 80 degree Christmas is not completely unheard of. Yet, most years it is pretty darn chilly around the holidays. While you may be thinking that you are simply going from your heated apartment to a heated car, then to a heated party venue, there is a very real possibility that you could have car trouble or take a detour. What if you get stranded on the side of the road for a few hours without a coat and only wearing a short strapless dress? The temperatures can become dangerous very quickly. So, even if you can't bear to put the coat on, bring it with you just in case! We want you to have a happy holiday season! Keep these tips in mind because a safe season is a happy season!